This is the greatest song of all time. Okay, maybe it isn’t. But it might be. I’d definitely entertain the argument that it’s the greatest song of all time. According to the sheet music you can preview on musicnotes.com, the iconic opening piano strikes are a G# and E alternating with a lower B in the treble clef, accompanied by a C# in the bass clef. Google returns 465 million results for the query “just a small town girl” (minus the quotation marks). The Wikipedia article for “Don’t Stop Believin’” is 4600 words long. South Detroit is not a real place. The south side of Detroit is actually Windsor, Ontario. So the “city boy” protagonist of “Don’t Stop Believin’” is arguably Canadian. I’m just going to repeat the previous fact, because it’s that good: Steve Perry found “South Detroit,” a nonexistent place or possibly Canada, to be “emotionally true” to his character. In 2007, “Don’t Stop Believin’” was featured in the final scene of The Sopranos, which is one of ten or so most important TV moments of the century so far. 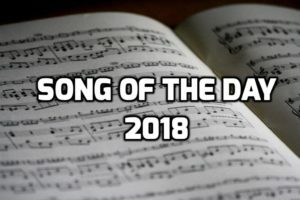 After appearing in The Sopranos, the song had such a huge surge in popularity that it became the bestselling pre-2000 song in digital music sales history, a title it still holds. For awhile, it also held the title of bestselling rock song, period, in digital music sales history, until “Radioactive” by Imagine Dragons trumped it in 2014. Steve Perry sings a lot of words in this song. According to Genius.com, he sings 188 of them. Last week, I really wanted to listen to this song, so I streamed it during my ride home even though I’m over my monthly data cap, and extra data is $15 per gigabyte. Different sources disagree on how to describe the structure of the song. The contention revolves around the repeated section of “Strangers waiting…” through “…hiding in the night.” I’ve seen some sites refer to this as the “chorus,” others as the “pre-chorus.” And the final lyrical section has been called the “chorus,” “outro,” and “bridge” in different places. Steve Perry does not sing the words “don’t stop believin’” until the final chorus/outro/bridge, 3:20 into the song. “Don’t Stop Believin’” is 4 minutes and 8 seconds long. When I was in college, I played a decent amount of Rock Band 3 with my housemates. “Any Way You Want It” is a very fun song to play in Rock Band 3. We got excited when you could buy “Don’t Stop Believin’” as DLC. But it turns out this is not a very fun song to play in Rock Band 3. Most of the song is very easy, except that spiraling guitar part after the first verse, which is really difficult to nail. My roommate C-Bag had a phone that let you set custom ringtones and notification noises for different users. For me, he set up his phone to play “Don’t Stop Believin’” whenever I called or texted him. One time, I had to wake up early, and to mess with C-Bag, who was still asleep, I texted him, kicking off the song. What I didn’t realize is that the phone would play the entire 4:08 song if he never closed the notification on his phone. In college, C-Bag charged his phone out of reach from where he slept. As a result, when I texted him over and over that morning, he was forced to listen to this song on repeat until he got the willpower to get up and shut off his phone. Shortly thereafter, C-Bag removed “Don’t Stop Believin’” as the custom Dan ringtone from his phone. Based on my own manual count, the guitar solo of “Don’t Stop Believin’” has about 24 notes. My favorite podcast episode ever is The Poscast where they draft singers from the “We Are The World” music video. I cried with laughter. At 1:14:40 of the above podcast episode, guest Brandon McCarthy shares an anecdote about how he ended up dueting “Don’t Stop Believin’” with Steve Perry shortly after winning the World Series as a callback to his rookie hazing. It’s fantastic. “Streetlight People” was one of the names that my brothers and I considered for our short lived (like two afternoons) ska band. (Note this would not have been a correct transcription of the lyrics, on which “streetlights” is plural). We ended up with “Presidential Flashcards,” a reference to my favorite movie. According to an annotation on Genius, Steve Perry got the idea for this song by watching people’s shadows as they walked through streetlights from his hotel room. It really seems like being “born to lose” and being “born to sing the blues” are the same thing. If you divide “Don’t Stop Believin’” into four segments of length 1:02, here is how you would rank them: The fourth (3:06-end) is the best, starting with the guitar solo through the climactic chorus/outro/bridge. The second (1:02-2:04) is the second best segment, straddling the piano intro and the main portion of the song. The third (2:04-3:06) is just be hind it, and nearly as good. The first segment (0:00-1:02) is great, but also the least great. We’re told that strangers are hiding “somewhere” in the night, but we’re also told where earlier in the song! A midnight train going anywhere, and a smoky room. It’s really poor planning for a train to be “going anywhere,” especially after dark. It seems impossible, too. Don’t all trains ride on prebuilt rail systems? Don’t you know the destination when you purchase your ticket? Maybe the mass transportation in South Detroit is more sophisticated than I’m giving it credit for. If you search “cheap perfume” on Amazon, most of the top results run you about $8. You can also buy a bottle of wine from Trader Joe’s for about $4. That means it will cost you only $12 to recreate that signature Journey scent. According to the Consumer Guide of Dentistry, porcelain veneers cost $250-$1500 per tooth. If you estimate that the average smile displays about 16 teeth, you’re looking at somewhere between $4k and $24k to share a night with Steve Perry and/or the characters in this song. “Don’t Stop Believin’” is somewhat famously built around the four-chord “Pachelbel” pop progression (shout out to Rob Paravonian). The chords, specifically, are E-B-C# minor-A (according to Ultimate-Guitar.com). However, if you look closely, the song actually alternates the third chord in the sequence between C# minor and G# minor. So, really, if you think about it, “Don’t Stop Believin'” is actually more complicated than classical music. The 22nd episode of the seventh season of Degrassi: The Next Generation is entitled “Don’t Stop Believin’.” I just watched it. It’s perfectly bland teen soap. I’ve never watched an episode of Degrassi before, but I picked up quickly and predicted basically every beat. This isn’t challenging stuff. The biggest flaw of the episode, really, is that its theme song isn’t “Don’t Stop Believin’” by Journey. Every letter of the alphabet except Q, X, and Z appear in the lyrics of “Don’t Stop Believin’.” These are three of the four highest-valued letters in Scrabble. The other high-value letter, J, is the very first letter in the song’s lyrics! Because the title of “Don’t Stop Believin’” ends with an apostrophe, and American standards dictate that song titles appear in quotes, but punctuation appears inside quotation marks, ending a sentence with “Don’t Stop Believin’” is really awkward — apostrophe, period, quotation mark. See, for example, the conclucion of Fact 46. Fun bonus fact: I italicized (out of context) letters spelling out “Don’t Stop Believin'” throughout the above article.